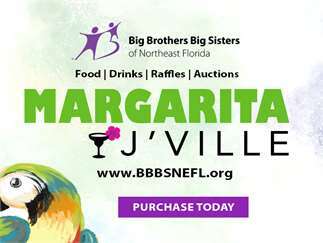 Big Brothers Big Sisters of Northeast Florida is bringing the island flare and fun of Duval Street, in Key West, to Duval County with our signature Margarita J’Ville fundraiser event. Margarita J'Ville will be held Friday, November 9, 2018 from 6:00 - 10:00pm at the beautiful Casa Marina Hotel located in the heart of Jacksonville Beach, Florida. Tickets are $100 per person which includes unlimited margaritas and signature drinks, island-inspired cuisine, live music, live and silent auctions, raffles and more! What could be better than enjoying a night at the beach while giving back at the same time? There are approximately 50,000 children who are eligible for our services based on at-risk indicators. With your support and/or attendance, we can serve more local children in need. 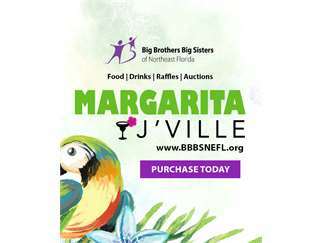 To learn more about Margarita J'Ville, visit www.bbbsnefl.org/events/margaritajville. Like and follow our event facebook page to receive event updates and special promo offers! We hope you can join us.